Your comments are welcome below. Did you, family members and neighbors attend the exhibition? Were you one of the featured artists? Do you have the work of any of these artists in your collection? If so, what pieces do you have? What do you remember about the art scene in 1968? 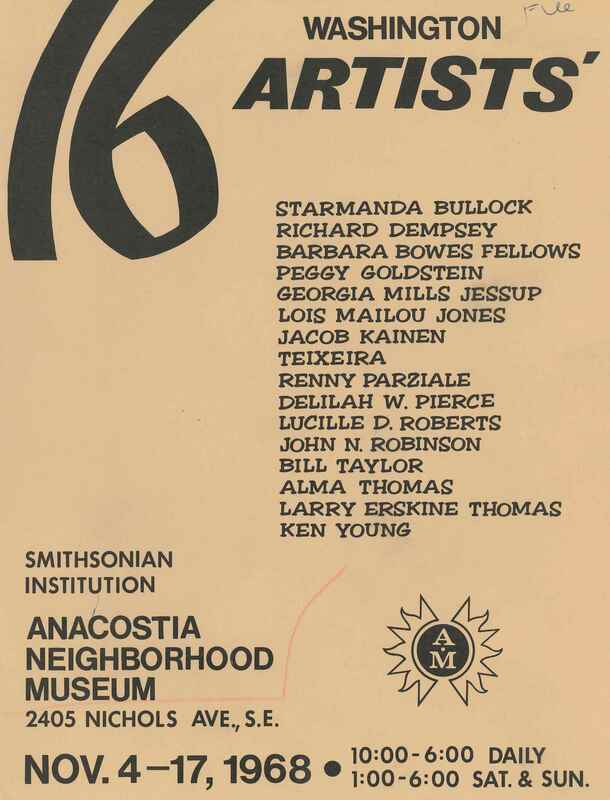 What do you remember about the Anacostia Neighborhood Museum in 1968? You may comment privately here. Photo source: Courtesy of Anacostia Community Museum, 1968. Collection # RU99, Box 28.